INotifyPropertyChanged is chiseled into the brain of every XAML developer. It provides amazing data binding power, but it has one drawback for me - code bloat. 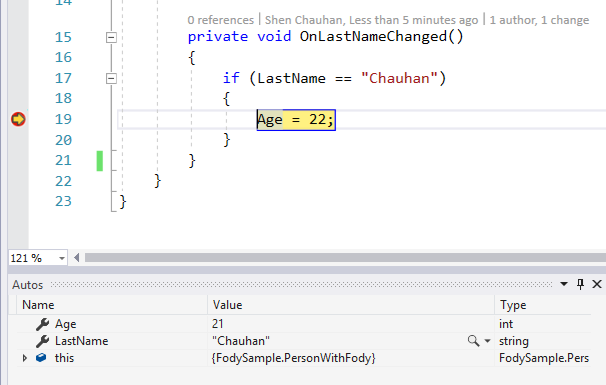 Take for example the code below, it's a class with 3 properties: LastName, FirstName and Age. It's a pretty simple class but there is a lot of framework code detracting away from the simplicity. The lines of code reduce dramatically and is clean from framework code. Under the hood Fody weaves the equivalence of what you see in the original file at compile time. Let's talk about how to set this up. There are 3 simple steps. 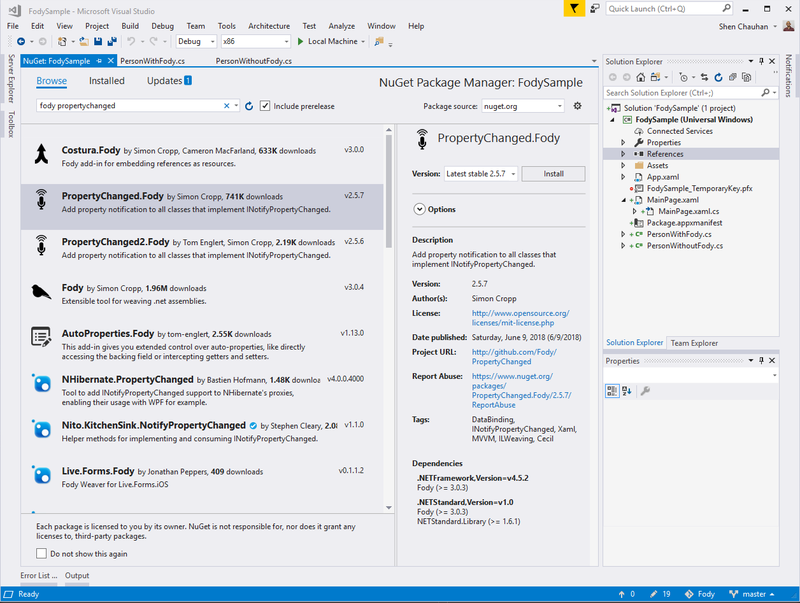 The first step is to add the nuget package. Next up, you'll need to create a FodyWeavers.xml file and add it to your project. This helps link the code weaving to the compiler.